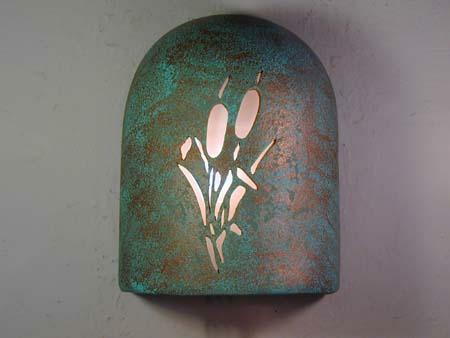 9″ tall hood (Dark Sky Compliant) has the Cattails center cut design, which is finished in a Raw Turquoise multi-color. 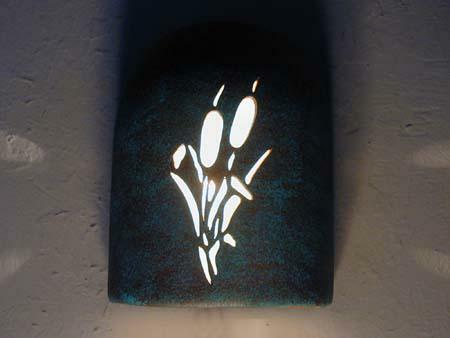 9″ tall hood (Dark Sky Compliant) has the Cattails center cut design, which is finished in a Raw Turquoise multi-color. 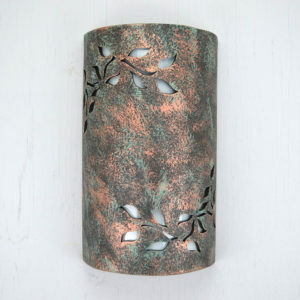 The Cattails have the air of nostalgia, which takes you back to the country and good times. Cattails are wetland plants with a unique flowering spike, flat blade like leaves that reach heights from 3 to 10 feet. They are one of the most common plants in large marshes and on the edge of ponds. This light is wired for the outdoor. 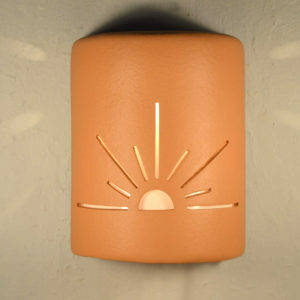 DIMENSIONS:H-9 inch x W-7 1/4 inch x D-5 inch Recommended 75 watts maximum. 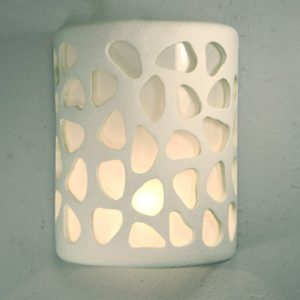 Compatible with standard A-19 bulbs.